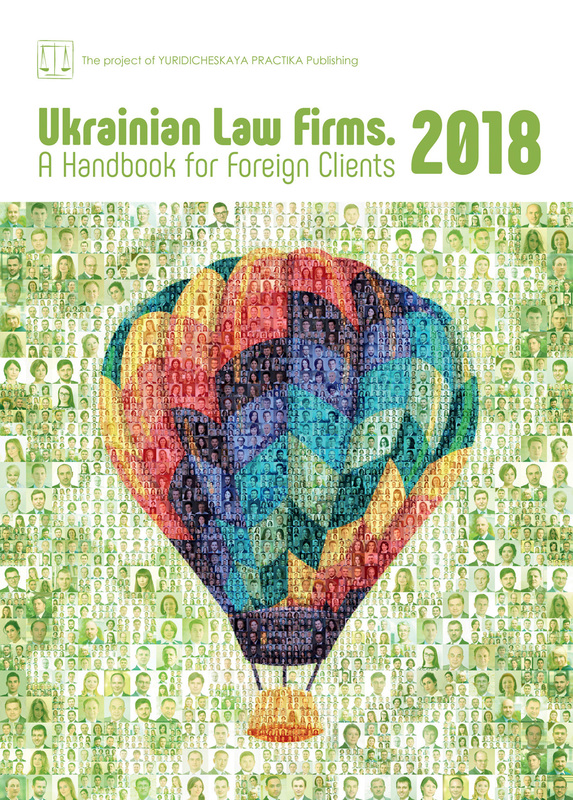 Under current conditions, law firms in Ukraine practice different patterns of financing and attraction of investment in the industrial development of territories. At the same time, monitoring of legal services on the organization and development of industrial parks, investing in activity within industrial parks by participants of such parks carried out by experts from EVRIS Law Firm shows that such legal practice, despite the Law of Ukraine On Industrial Parks adopted almost 6 years ago is not widespread. The reasons vary. And they are not to be sought in do-nothing or reluctance of law firms to work in this area. More likely, the lack of legal practice in rendering such legal services is due to negative economic, political and state-legal phenomena existing in ensuring investment in the industrial development of territories. First of all, it should be noted that the audacious calculations on attracting seven to eight billion hryvnias of investments in business development in the territory of industrial parks made during the development and adoption of Law of Ukraine On Industrial Parks came to nothing. Hence, there was no economic breakthrough via industrial parks in Ukraine the way it was in the Czech Republic or other Eastern European countries, where the construction of industrial parks is part of the national policy and support pursuant to EU requirements. For instance, during the period from 1998 to 2007, more than 3,000 hectares of land were allocated throughout the Czech Republic, where over 90 industrial parks were established and more than 56 billion of investment funds were raised for the state economic development. Slovakia has 38 industrial parks in the territory of more than 1,900 hectares. Since 2003, industrial and technological parks are supported by the state in Poland, where 31 industrial parks were established on the territory of 4,500 hectares. And what do we have in Ukraine? Compared to the European states, Ukraine has a strong land, natural resource, human and intellectual potential, favorable geopolitical position, as well as international transport corridors for attracting national and foreign direct investments in the creation of a competitive industrial sector of the economy. It is well-known that Ukraine’s land fund amounts to 5,7% of the territory of Europe. Almost 71% of the country’s land of 60,3 million hectares, or 41,5 million hectares, is agricultural land, the area of built-up land is 4,2 hectares; industrial, transport, communications and other purposes land is 1,2%; 31 million hectares of agricultural land is privately owned, 10,5 million hectares, as well as almost all forests and waters are state-owned. The fact that Ukraine has millions of hectares of state-owned and municipal land is one of the greatest advantages among other European countries to provide investors with access to the use of these lands for business on the territory of industrial parks. However, we should not lament that nothing happens in our country in the sphere of the establishment of industrial parks. Firstly, in 1996, the Government approved the Concept of Development of Industrial Parks, which defined the main directions for the establishment of such parks and participation in activities thereof. Secondly, in various regions of Ukraine during the period from 2010 to 2012, pilot projects were implemented on the establishment of industrial parks in Bakhchysarai (The Autonomous Republic of Crimea), Lysychansk (Luhansk Region), Dolyna (Ivano-Frankivsk Region) and other regions. Thirdly, as was mentioned above, the Law On Industrial Parks was adopted in 2012. Fourthly, as of July 2017, according to the Ministry of Economic Development and Trade of Ukraine, establishment of 30 industrial parks has been initiated in Ukraine since 2013, of which 25 have been included in the Register of Industrial Parks; furthermore, 7 private industrial parks that are not included in the Register of Industrial Parks are operating. 72% of industrial parks are established mainly on municipal lands. The rest of them are located on state-owned lands (4%), privately-owned lands (16%), mixed (municipal and privately-owned) lands (8%). Industrial parks are established in various industries and are geographically located in different regions of Ukraine. However, as a rule, the vast majority of industrial parks do not function in the way provided for by law or have no investors on their territories at all. Having critically assessed the current situation with industrial parks, we can argue that the Law On Industrial Parks is of low efficiency and does not accomplish its functional purpose — establishment of such parks and attraction of investments in the industrial development of territories. However, is this law really imperfect, and does it need to be amended and supplemented so as to create opportunities for investors to develop business in the territory of industrial parks? Let us try to answer this question under the lens of analysis of some provisions of the Law On Industrial Parks insofar as it defines the concept of “industrial park”, the legal basis for establishment and functioning of industrial parks, state policy on supporting the initiatives for the establishment of industrial parks, etc. It follows from the expert legal analysis of the content of provisions of this Law conducted by experts of EVRIS Law Firm, that the legal model of establishment of industrial parks enshrined therein and the participation of investors in the development of business in the territory of such parks does not provoke any specific objections to the access of potential business entities to the use of lands, water and other natural resources, engineering and logistics infrastructure for business development, support by the state and territorial communities. In particular, according to law in Ukraine, the industrial park is a territory defined by a person who initiated establishment of an industrial park pursuant to urban planning documentation, equipped with the appropriate infrastructure within the borders of which the industrial park’s participants can carry out economic activities in processing industries, as well as carry out R&D, information, and telecommunications activity on the terms established by this Law and the agreement on carrying out economic activity within the industrial park. Legal analysis of the content of the legislative definition of an industrial park shows that after the Law of Ukraine On Industrial Parks was amended in 2015, such parks can only be established in processing industries, while the first edition of this Law had no such restrictions, i.e., industrial parks could be established in all branches of industrial production. Therefore, it appears that restriction of the possibility to establish industrial parks only by processing industries can put certain legal and other organizational and bureaucratic obstacles for investing in business in the territory of industrial parks. This is due to the fact that, according to the Classification of Types of Economic Activity (2010), processing industries include 23 types of economic activity. At the same time, boundaries between the processing industries and other types of economic activity may not be clear enough to classify them. Generally, activity in the production sector concerns the processing of materials for production, the ultimate result of which should be brand-new products. However, the definition of what new products are can be quite subjective. In such cases, qualified legal assistance should be provided to prevent possible negative risks when choosing a type of economic activity for investment in an industrial park. According to law, the establishment of industrial parks provides for the allocation of land to managment companies to ensure that potential investors have full access to the land building for the development of their business. At the same time, the law sets requirements to land plots that may be allocated for industrial parks. In particular, such lands should be part of industry land. An industrial park can be established on a land plot covering 15 to 700 hectares. Such a land plot must be free from construction, i.e., prior to including an industrial park in the Register of such parks, it must have no real estate objects or integral property complexes that allow producing of goods. State-owned and municipal land may be sold to a managment company, as well as to participants into ownership, or the plots may be used based on other legal titles, for example, lease or superficies. Based on provisions of effective land legislation, it can be stated that Ukraine has created the necessary legislative preconditions for full and transparent access to the use of land for investment in business development in the territory of industrial parks. In particular, a system of state land cadastre and state registration of rights to land has been established in Ukraine, allowing to obtain the necessary information about territory and land for investments promotion, restrictions and encumbrances over land rights, a Public Cadastral Map has been formed allowing anyone to obtain information about land plots; land should be used only pursuant to urban planning documentation; access to acquiring the right to land for establishment of industrial parks and participation in activities thereof can be obtained without conducting land tenders, while in other cases, rights to state-owned or municipal land plots must be acquired by a land tender in the form of an auction. According to the State Strategy for Regional Development for the period until 2020, the creation of a regional network of industrial parks and provision of state support to entities that establish such parks is recognized as one of the priority areas of development of the regions. In this regard, the Law of Ukraine On Industrial Parks provides for state support for the development of industrial parks both for managment companies and for those participants who invest in the development of their business in the territory of such parks. As can be seen, the valid legislation of Ukraine provides for legislative preconditions for the establishment of industrial parks, attracting investment in business development in territory thereof, provision of state and local support to managing companies and participants of an industrial park. It means that subject to proper professional legal support, interested investors can invest in the development of their business in the territory of industrial parks with almost no legal, financial, property, industrial or other risks. At the same time, it is equally important to provide professional legal assistance to local authorities and local self-government bodies which initiate the establishment of industrial parks on state-owned and municipal land so that investors can be provided with transparency and legality of access to land use and facilitate business development in such territories.